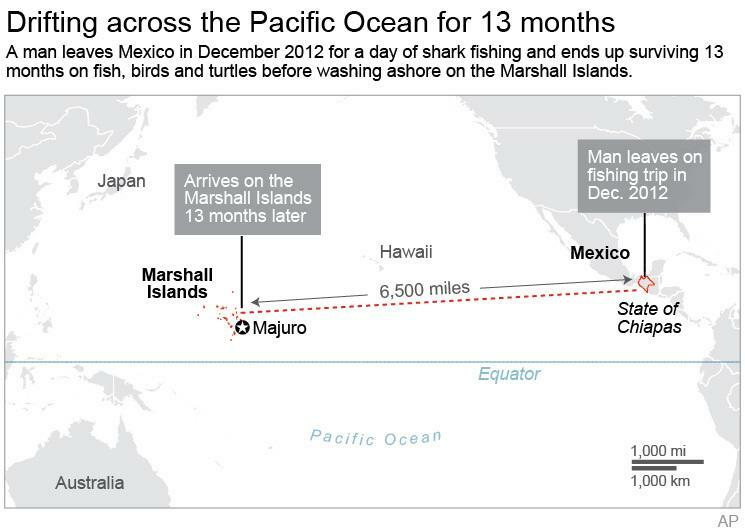 MEXICO CITY (AP) — Members of the family of Mexican fisherman Ezequiel Cordoba, who died during a 13-month sea odyssey, said Thursday they don't blame the survivor who turned up in the Marshall Islands. 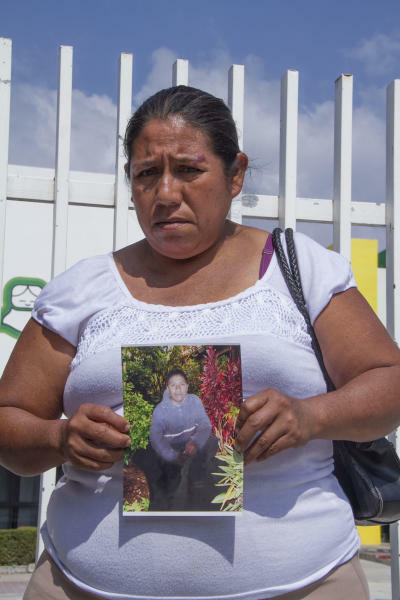 Cordoba's mother, Roselia Diaz Cueto, said she is not blaming survivor Jose Salvador Alvarenga for her son's death, but added that she does want to talk to the Salvadoran-born skipper of the small boat. "I want it understood that I am not blaming this person, Alvarenga, nor am I declaring him guilty of anything," Diaz Cueto said after meeting with federal government officials in the southern state of Chiapas, where both men set out on the ill-fated shark-fishing trip. 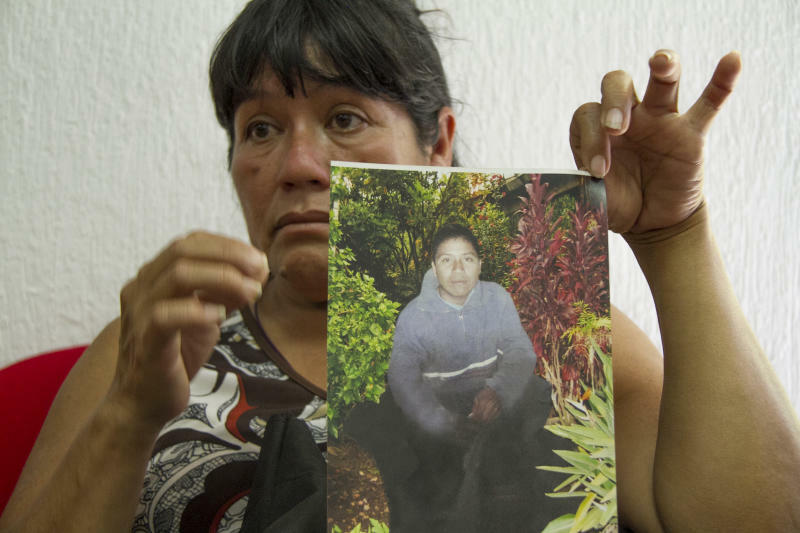 "What I want and what I'm asking for is that I be permitted to have him brought here, to Chiapas, so that I can talk to him personally, and have him explain to me what my son's last words were," she said. "Maybe he had some message from him. Maybe my son left some words for me." Diaz Cueto also said her son was 22; various versions of Cordoba's name and age have been reported. Alvarenga has said Ezequiel died early in the voyage, while he survived by eating fish, turtles and birds. Cordoba's aunt, Magdalena Cordoba, said following the meeting that Mexico's government has promised to investigate how Cordoba died. But it will be hard, given that Alvarenga says he tossed Cordoba's body overboard long before he drifted to the Marshall Islands, 6,500 miles (10,500 kilometers) across the Pacific. The aunt described her nephew as a quiet, hard-working young man who had experience at sea. Meanwhile, Alvarenga is still recovering after drifting ashore in the Marshall Islands more than a week ago, about 6,500 miles (10,500 kilometers) from where he set out, and was blown off course by bad weather. Alvarenga made a brief public appearance Thursday looking much weaker than he did earlier in the week. He greeted about 50 officials and media at the Marshall Islands Resort hotel where he is staying. Sporting a haircut and a shave, he was assisted into the room by two people while others stood by ready to help. Speaking in a low voice, he thanked the government and his friends for their help, but declined to take questions. The Associated Press listened into the meeting by cellphone and had it described by an official who declined to be named because he wasn't authorized to speak to the media. "He walked in but he needed a lot of help," the official said. "I would say he made an impression that is really now far more consistent with the journey he said he made. He was much weaker, extremely tired looking, much less animated and was speaking extremely slowly. He looked exhausted, frankly. Like someone who has run two or three marathons." Alvarenga's spritely appearance Monday when he greeted hundreds of well-wishers in the capital Majuro after making landfall last week on a remote atoll had many questioning his story. He earlier told officials he left Mexico in late 2012. Officials at the meeting said Alvarenga needed to be taken back to the hospital for more medical checks and it would likely be three or four days before he was fit enough to travel back to El Salvador.